The majority of Aboriginal and Torres Strait Islander children grow up in supportive, loving and positive environments, connected to their families, communities and cultures.  However, Aboriginal and Torres Strait Islander families continue to experience significantly higher levels of disadvantage than non-Indigenous families. Current efforts are not succeeding and reform is required to enable better outcomes for our children. The strengths to address child development, well-being and safety concerns lie within Aboriginal and Torres Strait Islander communities. We invite all parties to work in partnership with us to achieve equality for our children. Aboriginal and Torres Strait Islander children are 11x more likely to be removed by child protection authorities and placed in out-of-home care than their non-Indigenous peers. The scale and impact of this issue is at national crisis proportions and requires all of our urgent attention. Experience and research indicates that ad hoc, piecemeal approaches focused on the child protection system will not lead to improvement for children and families involved in Australia’s child protection systems. The complex, structural nature of required solutions span federal and state and territory powers, and multiple departmental responsibilities. Achieving fundamental change in outcomes requires the implementation of holistic, evidence-based solutions, through a coordinated national approach. the development of a model ACCO investment, expansion and capacity development strategy drawing on best practice. This is a national crisis that needs all of our urgent attention. The early years of a child’s life play a critical role in shaping long-term health, development, employment and well-being outcomes. Currently, Aboriginal and Torres Strait Islander children are twice as likely than other children to be developmentally vulnerable when they start school. There is compelling evidence of the difference that high quality early education can have by amplifying children’s development and enhancing lifelong social and emotional wellbeing. This is particularly true for children who experience disadvantage early in life. investing in quality Aboriginal and Torres Strait Islander community-controlled integrated early years services, through a specific early education program, with clear targets to increase coverage in areas of high Aboriginal and Torres Strait Islander population, and high levels of disadvantage.